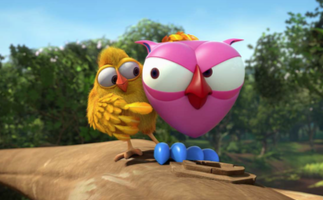 Turner EMEA swoops for Owl & Co.
Turner Broadcasting System EMEA has acquired Owl & Co., which France Télévisions Distribution is bringing to the international market. The deal, which covers seasons one and two of the French toon, will see Owl & Co. rolling out on Turner channels such as Cartoon Network, Boing and Boomerang. The 78x7mins toon from Studio Hari already runs on France Télévision channels in France, where it has been a ratings hit, and the pubcaster’s commercial arm is now taking it further afield. The Turner deal is the show’s debut international sale. Meanwhile, FTD has sold Ubisoft Motion Pictures’ Rabbids Invasion to Chinese non-linear service JY Entertainment, which roll it out on various free and VOD platforms. Netflix and Videotron have bought rights for Canada. Normaal Animation-produced Peanuts has scored a batch of deals for FTD, meanwhile. DKids has taken it for Latin America and MBC3 has bought Middle Eastern rights. These deals are addition to agreements with TVB in Hong Kong, Disney in South Korea, TV Tokyo in Japan, Thai PBS in Thailand, Canal+ in Poland, RTVS in Slovenia, IETV in Israel, SRC in Canada, YLE in Finland, NRK in Norway, NPO in the Netherlands, Smile TV in Greece and Sinema TV in Turkey.